This group addresses many kinds of issues that can arise during the transition to retirement. 7pm - Friday Dance Party - American Ballroom 1523 Parkway Avenue, Ewing - 609-931-0149 - www.americanballroomco.com, $10. 7:45pm - Friday Dance Social - Jersey Dance West Windsor Arts Center, 952 Alexander Road, West Windsor - 609-375-8468 - www.jerseydance.com, $15. 8pm - Folk Dance - Princeton Folk Dance - Suzanne Patterson Center, 45 Stockton Street, Princeton - 609-912-1272 - www.princetonfolkdance.org, Beginners welcome. Lesson followed by dance. No partner needed. $5. The Princeton Folk Music Society welcomes back hammered dulcimer virtuoso Walt Michaell. In his quietly revolutionary and exploratory music and performance, Michael relaxes the boundaries of folk music as he combines an Old World roots advocacy with global and 20th century influences. Christ Congregation Church, 50 Walnut Lane, Princeton, NJ. Admission at the door. $20 ($15 members, $10 students under 22, $5 children). Doors open at 7:30 PM. Show starts at 8:15 PM. Ample free parking. 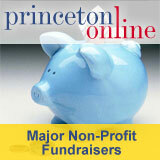 For more information: www.princetonfolk.org.